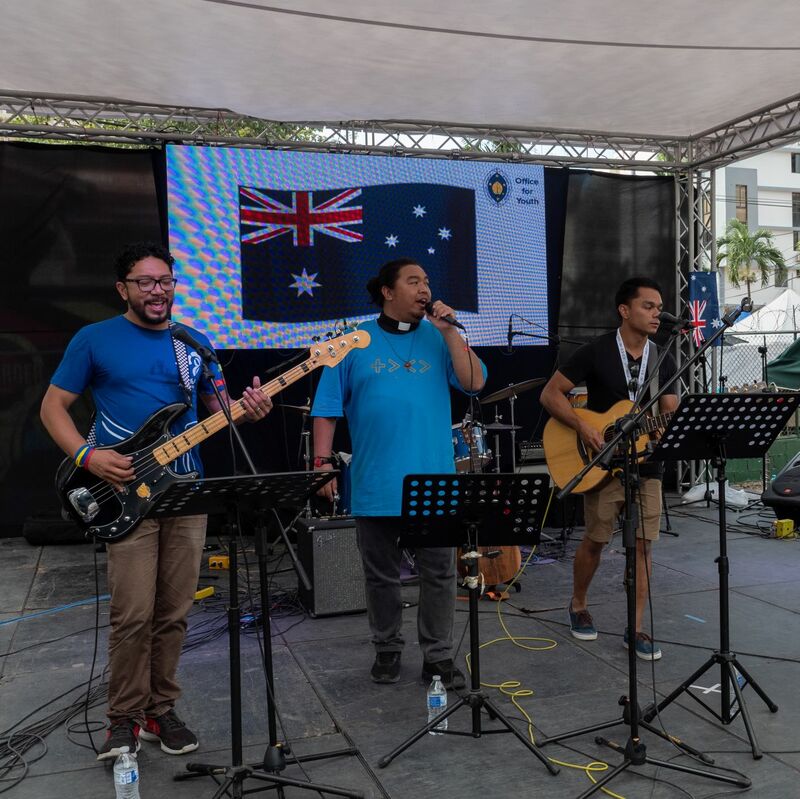 Australian pilgrims had a busy first official day at World Youth Day Panama, with 700 gathering for an Australian event before joining tens of thousands of others for the opening Mass. Australian pilgrims have descended on Panama after spending time visiting holy sites in nearby countries, including Mexico and the United States. 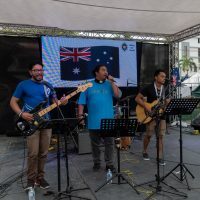 The Australian gathering featured Scripture, prayer, testimonies, music and catechesis. Canberra and Goulburn Archbishop Christopher Prowse encouraged the young Catholics gathered to remember the three L’s: the lost, the last and the least. The group then walked through the hot midday sun to Cinta Costera Square for the opening Mass. Broken Bay Diocese Deacon Adrian Gomez, writing on his WYD blog, explored the many surprising experiences of taking part in the pilgrimage, linking the challenges of the journey with the growth and change that happen in one’s spiritual life. In all, more than 1000 Australians have made the long journey to Panama. Official WYD figures suggest fewer pilgrims are attending than in previous years, but numbers will still exceed 100,000 travellers from 156 countries. More than 20,000 local volunteers and almost 2500 international volunteers are supporting the event, with 2500 journalists from around the world among those capturing the sights and sounds of the 34th World Youth Day. Pope Francis will preside at several events during the final four days of World Youth Day, including the Way of the Cross on Friday and the final Mass on Sunday (Panama time). At the final Mass, the venue for the next World Youth Day will be announced. This entry was posted in Uncategorized on January 23, 2019 by ACBC Communications.